In today’s world, an integrated management system (IMS) is a must have in any business. An integrated management system refers to the seamless integration of several different standards into a common system that meets the requirements of each of the standards. 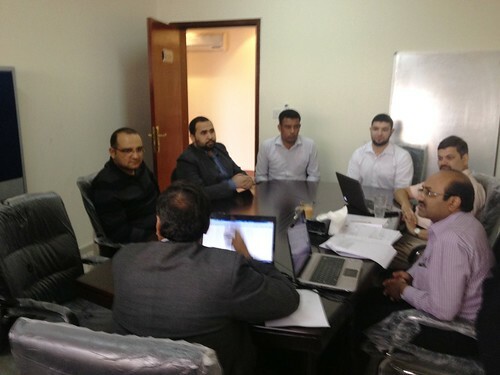 This allows the organisation to work as a single unit with unified objectives. The initial implementation of an IMS will require a significant amount of resources such as time and effort in preparation of documentation. 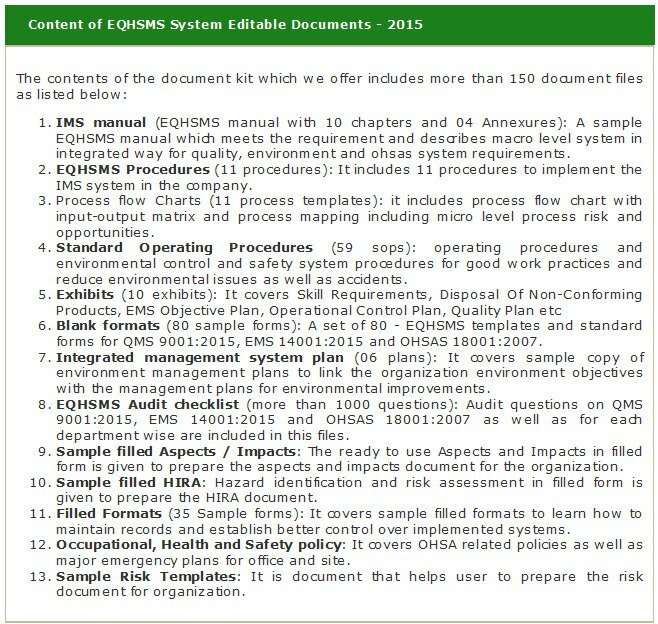 With that in mind, Global Manager Group has developed IMS EQHSMS Documentation Kit as per ISO 9001:2015, ISO 14001:2015 and ISO 45001:2018 requirements. Which IMS documents are covered in this documentation Kit? The IMS documentation kit can also help you understand the management system requirements and make proactive changes to any workflows. By saving time, toolkits allows you to focus more on ensuring that the necessary processes and procedures are performed and disseminated throughout the organization. 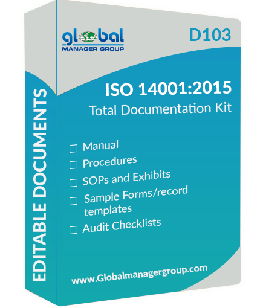 Global Manager Group is involved in documentation selling since 1995; IMS documentation kit is one of the most selling document products of the company. The aim and purpose of providing readymade IMS documents is to help organization in integration of Quality Management System (QMS), Environment Management System (EMS), Occupational Health and Safety Management System (OHS&MS) into one system for easier management and operations. 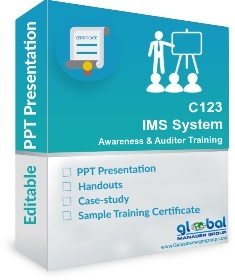 IMS documentation kit developed by Global Manager Group is consistent in its appearance, and is written and reviewed by recognized authorities in the area. You can also receive support and guidance on using the toolkit.